Customer fears over cloud security risk holding them back from competing with rivals as well as making it harder for them to meet the demands of their own staff looking for greater flexibility. Although security remains one of the most cited concerns that holds back cloud adoption there is a view that holding out against the future is not going to be a sustainable position for some customers. Steve Nice, CTO of Reconnix, outlined the current position for a lot of users that were trying to stick with existing approaches and avoid cloud adoption to ensure that their data remained secure. “Currently many IT decision makers are confused by what cloud really means and whilst this confusion exists they will be applying old school security habits to cloud technology. Customers always want to know that their data is secure and will not be compromised. As a result many IT departments have kept their data on premises, despite the cost implications. This trend will remain ingrained until IT decision makers understand the fundamental shift in how applications are architected for the cloud,” he said. But the pressure is mounting on those firms that are operating in the old school ways with Vodafone one of those predicting that things will have to change in the future. The telco giant is expecting the dual pressures of cloud being used as a cost effective way to share data and staff looking for it to help support flexible working practices. “IT Departments must consider the importance of understanding workforce behaviour and the move towards flexible working. They therefore need to ‘bend’ towards user demand for cloud services that make it easier for them to work the way their job demands. If they don’t, IT Departments will be fighting a losing battle to control corporate data security," said Jonathan Kini, enterprise commercial marketing director at Vodafone UK. “Users rarely appreciate the risks involved with unregulated use of free, consumer-level cloud services. Therefore, where there is a business need for cloud services, IT should align to support the workforce rather than live in a state of denial. After all, cloud services can be a more secure method of allowing users to access data away from the office than alternatives such as USB sticks or downloads to laptops and smartphones," he added. 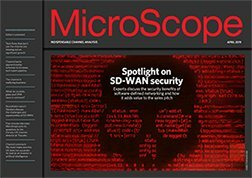 For more coverage of the subject of security concerns and cloud adoption look out for the September MicroScope ezine.